Daniel is a co-founder of Milk Inc, with Kevin Rose and Jeff Hodsdon. They’re building a small company that can execute on several startup ideas at once. Their first product is Oink, a social recommendation app. 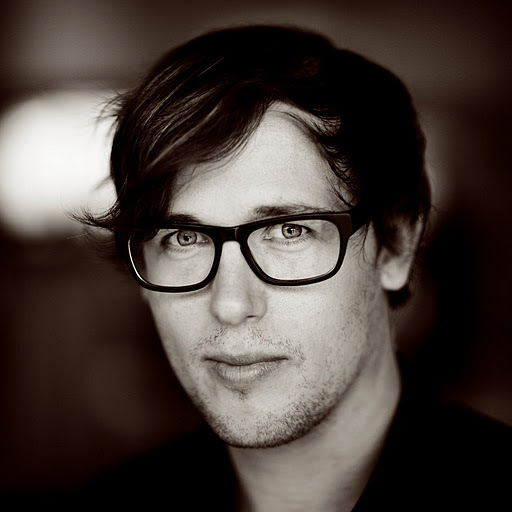 Previously, Daniel was the creative director at Digg and then the director of design at the gaming startup Tiny Speck. He’s also a less-active partner in the Canadian design agency silverorange, which he helped found in 1999. Below are a few excerpts from his interview. Note: We’re a few days away from our Kickstarter deadline! Help make our nonprofit book and distribute it for free to students worldwide here. Back in highschool (in the early days of web design), some friends and I were all just dicking around on the computer. We were really literally just looking at what other people were doing on the Internet. Like, “Oh man, that looks really cool.” That stuff that Salon did in the early days. We were like, “Damn, I like that menu.” Then we would replicate it and do something similar to it, adding our own spin to the idea. There’s a fine line between being a perfectionist and being a pragmatist. I saw a quote the other day about striving for perfection and I was like, “I don’t know if I agree with that.” I cut corners a little too much maybe sometimes, but at the same time I’ve seen some designers, I’ve had designers work for me, who spend way too much time polishing. I love pixel-perfection as much as the next designer, but there’s also value in getting your design out in front of people very quickly to judge its core qualities, which sometimes necessitates a faster, more pragmatic approach. My basic calculation for starting a new project, whether it was Digg or Tiny Speck or Milk, is what’s the worst that can happen? Seriously, it’s literally that question. “Will I make a bit of a salary?” Cool. “Am I hurting anybody by doing this?” No. “Is it doing some good?” Yes. “If this all blows up in two years, will I be able to still pay my rent?” Yeah. The reason I’ve been able to do some of the things that I’ve been able to do is making good friends who happen to do good things. I’m not saying that’s the only way to get somewhere. I’m sure you can hire teams and if you’re MBA, you can hire an engineer. But I think you do better by making friends, hanging out with people you want to work with. No doubt, the number one thing I care about when I’m hiring any designer, especially a young designer, is I want to see work. And it’s got to be relevant work. You want to work in mobile stuff and you haven’t been hired to do any mobile stuff, build something, prototype something, do anything. It kills me these people, even in applying for a design internship, and they send me a bunch of posters and I’m like, “Do you want to build mobile stuff?” If they had such a strong interest in pursuing a certain thing, you’d think it wouldn’t require a job to do it. The full interview will be published in the Designer Founders Book. Help us demystify the path for designers to build tech startups with positive social impact by backing our Designer Founders Book on Kickstarter before this Sunday, January 22nd!